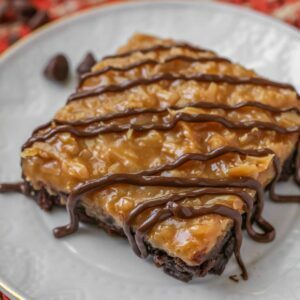 These Samoa Caramel Brownies have a chewy, fudgy brownie base and a layer of gooey caramel and coconut all topped off with drizzled chocolate. They’re a delicious brownie version of the popular cookie. Brownies are one of our go-to desserts on Sundays. 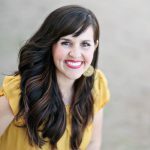 They’re typically so easy to make and are loved by everyone. We knew that kicking things up a notch by adding caramel to them would make them even more of a hot commodity. Boy, were we right!! 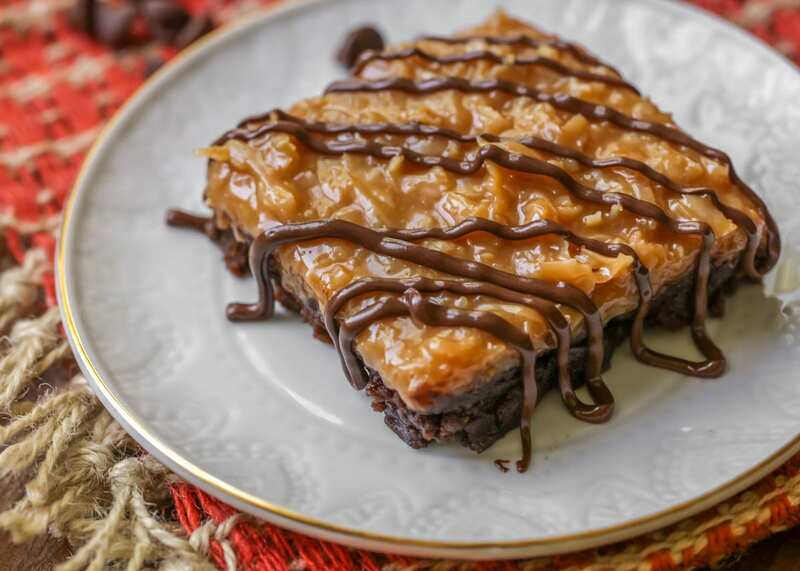 We not only added caramel, but we added coconut making them delicious Samoa Caramel Brownies. If you’ve had Samoa Girl Scout Cookies before you know just how good they are. They’re a delicious combo of caramel, chocolate and coconut – just like this brownie recipe we are sharing today. 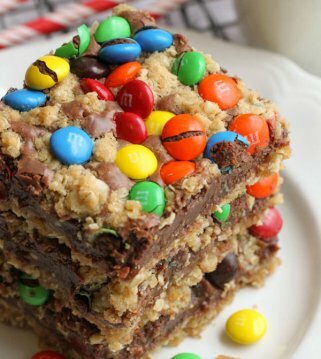 This treat has a chewy brownie bottom with a layer of caramel and coconut all topped off with some drizzled chocolate. SO DELICIOUS! I think I would top these off with a scoop of ice cream and some more chocolate syrup just for some more sugar-y goodness. I mean, you can’t really have enough chocolate and caramel, right? 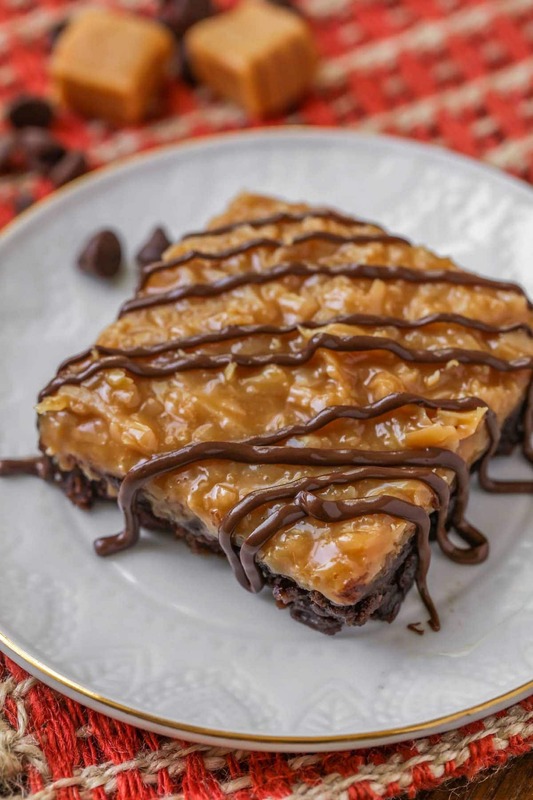 These Samoa Caramel Brownies have a chewy, fudgy brownie base and a layer of gooey caramel and coconut all topped off with drizzled chocolate. They're a delicious brownie version of the popular cookie. Make brownies according to box directions and let cool. Toss coconut over medium heat until toasted. Watch closely so it doesn’t burn. 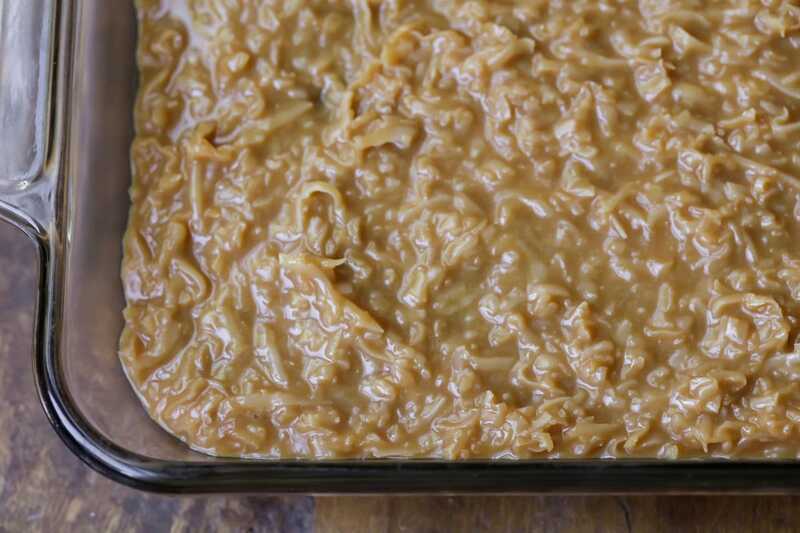 Add unwrapped caramels, salt and milk to a large, microwavable bowl. Heat for 3-5 minutes, taking out to stir every 60 seconds. Cook until mixture and caramels are smooth and entirely melted. Add coconut to the melted mix and spread over your brownies. Refrigerate 2 hours. 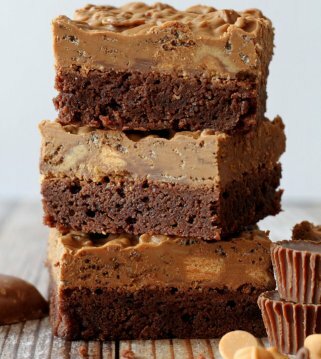 Remove brownies from the fridge at least 30 minutes before cutting them. 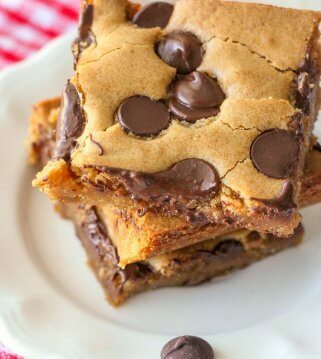 Cut brownes into bars and drizzle melted chocolate chips over them. Let the chocolate set and serve. Delicious!! The pictures are great!! Adding this to my recipes! 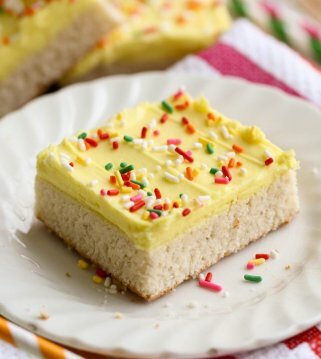 Thanks so much for the recipe!! Thank you for all the nice recipes. Have a wonderful weekend! 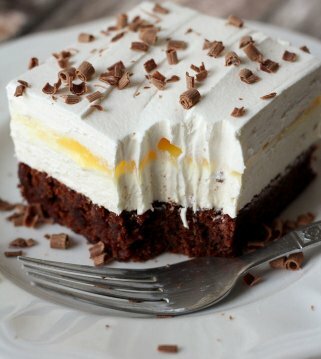 So many nice brownie recipes. Thank you.